Facebook enjoys the privilege of having over 900 million registered and active users. And with its current exponential growth, it is fast approaching the 1 billion mark, a milestone no social networking website has ever achieved. But with so many user accounts comes the problem of protecting the users' personal information. Facebook has been hacked time and again. In fact, Mark Zuckerberg's own profile was hacked last year and some of his personal pictures were leaked. Since then, Facebook has been strengthening its defenses. But as its sophistication grows, so does that of the hackers, who somehow always seem to be one step ahead. There's only so much Facebook can do to keep them at bay though. You are the guardian of your own information within Facebook, so you have to do your part as well. Here are some simple things you can do to keep any hack attempts at bay. Here is a short video from Facebook summarizing how you can defend your Facebook account from potential hack attacks. In the past, Facebook used secure connections for user logins. It used the HTTPS (HyperText Transfer Protocol Secure) only when you entered a password. But now, Facebook provides secure data transactions throughout the website. For some of you, secure browsing might already be turned on. You can spot a secured connection when you see a 'https://' at the start of the URL in the address bar. You can also see a lock icon there. If it is there, well and good. If not, you need to turn on SSL encryption. Secondly, learn how to spot a scam. This is one extremely important point I want to discuss. Most people can't recognize scam even when it's staring them in the eye! First, be ware of the so called 'special offers'. People share all kinds of stuff, such as 'do this and get a free gift voucher' or 'do that and get coupons worth this much' etc. Well, there's a general rule of thumb that applies here' if something is too good to be true, it most probably isn't. Don't click on any such thing. People don't give away things like that. Most importantly, I have been seeing many updates recently of people checking out applications that show you 'who viewed your profile in the past month' or something similar. According to Facebook, this simply isn't possible for any third-party app, and even Facebook has no plans to implement such a feature. So these things definitely are scams; avoid them. Similarly, there are apps and games that access your profile information and ask your permission to post on your wall and stuff. Be wary of such apps, and if you must, use them only scarcely. They have access to your information, which could be leaked out at any time. All of these come under the phishing technique used by hackers to gain access to profiles and spread malicious content and/or grab hold of sensitive information. Be vary of them at all times. Don't jeopardize your profile's security by clicking on such links and just throwing away your information. Many people have the habit of creating a universal password for every online account they have, be it Facebook or email or Twitter. Well, keep in mind that if someone gets hold of your Facebook password, and if it's the same for your email as well, then you, my friend, are in for some real trouble. You might be barred out of not only your Facebook account, but also your email inbox, forever! So change your Facebook password now! And use a unique and strong password. For example, my Facebook password is 57 characters long. And I'd love to see any computer try to brute-force its way out of that one, forget the idea of someone guessing it. So the only way someone can access my account is through phishing, which I am always careful to avoid. Facebook's mobile confirmation has really put many at ease. You can find this option again in your Account Settings. Once you confirm your mobile number, every time you log into your account, a confirmation code will be sent to your mobile phone which you will then need to enter online. Of course, any unauthorized login won't have access to this confirmation code. Facebook will also send you a new password if you are locked out of your account and need to reset your password. Hence, turning on cell-phone confirmation provides an extra security layer. There's one more major step you should take to secure your Facebook account. If you have email addresses that you use other than the one currently affiliated with your Facebook account, then I'd suggest you link those up with your Facebook account. You can do this by simply going into your profile and editing your contact information. Linking multiple accounts will ensure that you are never locked out of both your email and Facebook accounts at the same time. You can use the secondary email accounts to reset your password and restore your Facebook account. useful post Quassim all your posts are awesome kep up the good work bro. yEah we need to protect our timelines ..
Disqus 2012 Now Available For All Communities – Get It Now! Few more tips are to enable login notification to mobile,enable recognized devices. Nice post about facebook security. 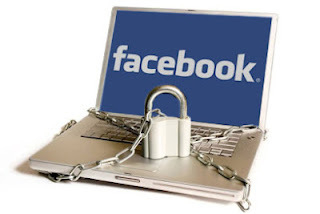 Keep Your facebook safe from phishing, keylogging and other hacking threats. These are great security tips in handling social media webpages. A lot of people like those web designers in Houston TX (for example)will surely find these measures effective. Thanks for sharing a very helpful article.